Some time ago, I sat down with my family to watch the movie version of Dan Brown’s The Da Vinci Code. After a good dose of Tom Hanks’s adventures as symbol sleuth Robert Langdon, I began asking myself the question, ‘Why are people so involved in this story?’ I concluded that the root of the fascination lies in a single straightforward question: Whatever happened to Jesus’s family? It occurred to me that such a question might serve as the launching-pad for a book-length investigation. Fortunately, Michael Mann at Watkins Publishing shared this opinion and The Missing Family of Jesus was born. We’ve all seen paintings of ‘The Holy Family’. It’s a pretty nuclear affair. We might see Joseph leading a donkey on which Mary sits, holding the baby Jesus. Otherwise, we might see Mother Mary and baby Jesus – but no daddy at all. Families just weren’t like that in those days. Even the canonical gospels give us some hints. Mark 6,v.3 tells us that Jesus (Yeshua or ‘Joshua’) had brothers: James (properly ‘Jacob’), Joses (Joseph), Simon and Juda (called ‘Judas’ in Matthew). But after the establishment of Christianity in the Roman Empire, 300 years later, believers were discouraged from dwelling on questions like: ‘Whatever happened to Jesus’s Family?’ Even today, in Catholic encyclopaedias of the Saints, ‘Saint James the Just’ – universally regarded as Jesus’s brother by the earliest Church Fathers – is called the ‘son of Alphaeus’, deliberately obscuring any theologically compromising family relationship. The Jesus of the Church jumps out as an ‘only child’ from the pages of dogma. He is God’s ‘only begotten son’. This is a theological point, but we know now that Jesus was a part of history, and like everyone else, he came from a family. Indeed, his family was important to his work. The first ‘bishop’ of the ‘Church’ in Jerusalem after the Crucifixion was James the Righteous (‘Zaddik’), brother of Jesus. James continued his more famous brother’s hostility to the governing priests, scribes and pharisees. According to Eusebius, they had James clubbed to death in AD 62. Brother James was succeeded as second ‘bishop’ of Jerusalem by Jesus’s cousin, Symeon, son of Klopa. According to Hegesippus, Symeon, though a man of exceptional age, was also martyred, like his kinsman James, in AD 106 or 107. Furthermore, according to Church historian Eusebius, the grandsons of Jesus’s brother Judas survived until the reign of the Emperor Trajan (AD 98-117) when they were interrogated on grounds of being of the House of David, and therefore politically suspect. The earliest ‘Church’ in Jerusalem was to a significant extent, a family affair. Like all families, there would have been problems. Jesus did not need children of his own; his family provided man (and woman) power. Why are these facts so little known? Why for so many people is Jesus an ‘unreal’ character? The answer is simple. The Roman Church did not want a ‘real’ character. The Roman Church wanted a super-real character, preferably with no character at all, as we understand the term. By the late fourth century, the Jewish Christians, who followed the old tradition first established in Jerusalem (and who were nicknamed ‘the Poor’), were regarded as heretics – outside of the care of ‘the Church’. The Roman Church had effectively usurped the Family and become self-appointed executors of Jesus’s Will and Testament. How could they do this? After Emperor Constantine gave ‘Christianity’ imperial sanction, the Roman Church had the power and might and muscle of the state of Rome behind it. What do we have to go on? There is some historical evidence, disparate, sometimes obscure, but sufficient to build a picture of reasonable probability, without recourse to wild speculation. There is legendary material, of which much has been made for conspiracy-style narratives. This material is examined rationally. The Missing Family of Jesus scrutinizes the historical basis, such as it is, for the ‘Holy Blood Holy Grail’ narrative. Good history is at last liberated from storytelling. The book includes in its sweep a thorough search into what orthodox authorities have called ‘apocryphal material’, accounts not included in the official canon of the Churches, but from an historical perspective, of value. For example, in several apocryphal gospels, the figures of James the Righteous and of a possible twin (‘Didymos’ or ‘Thomas’) brother, called Judas, are given special – and fascinating – prominence. James and Judas/ Thomas were important to some Jewish Christians living in Syria in the 2nd and 3rd centuries. We cannot dismiss evidence simply because the Churches do not like it. The shortcomings of evidence are highlighted. We also possess an abundance of historical and archaeological knowledge which helps us to establish real conditions and real possibilities as regards social and political conditions relevant to the story. 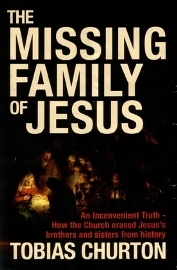 It must be the case that behind both the historical and the legendary evidence, there exists a missing, truthful picture of the family of Jesus. The task of the book has been to establish as much of that truth as is historically possible within the bounds of reasonable probability. I am delighted to announce that the project has succeeded in bringing our picture of Jesus back home, for while I suspected at the start that such an examination might help us to get back to Jesus’s historical family, I had no idea that the search would take me directly to the ‘historical Jesus’. This, for me, was an astonishing experience, one in which I must confess I felt a guiding hand from above; I can find no other words to describe the experience. The final chapter is subtitled ‘The Mystery of Christianity Solved’. I admit this sounds extremely bold, even rash, but I can convey to you in all sobriety that that is precisely what has been achieved. How I came to this momentous conclusion, I shall leave, naturally to the book itself, but I can say this: it is my belief that sooner or later, this book’s conclusion will have to be addressed by the highest religious authorities and, as a US contact has recently informed me, the results should be ‘world-changing’. Well, I don’t know about that, but it might be person-changing, and we can all do with a spiritual wake-up call. It all seems a long way from an evening in watching a filmed novel on TV. But does not the Lord move in mysterious ways? The book shames the early Catholic Church for deliberately obscuring the significance of Jesus’s family in an effort to preserve the doctrine of the virgin birth. This continues. In searching for the real family of Jesus, the real, historical Jesus has appeared. He stands now in a political and religious context that is comprehensible, yet still immensely striking, and inspirational. The book reveals the weaknesses in the more extreme views of Robert Eisenman (James, the Brother of Jesus) ie: that proto-Christianity was built upon the character of James, first bishop of Jerusalem, allegedly one with the Qumran Teacher of Rightousness, and his battle with the ‘spouter’ Paul. The book demolishes the historical edifice of the ‘Holy Blood Holy Grail’ story as far as Jesus’s family is concerned. The book shows how the ‘Gnostic Gospels’ exploited the canonical record for their own philosophical purposes. 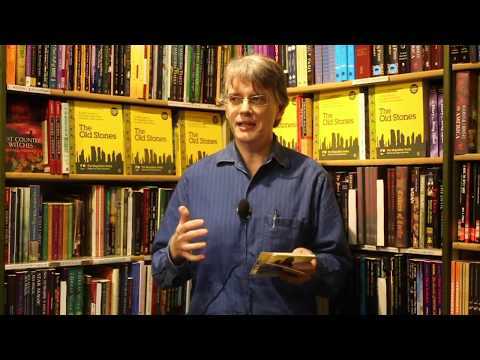 Their modus operandi exposed, the book places Gnostic studies on a new footing. The background, politics and essence of Jesus and his family’s position is read through a painstaking analysis of canonical sources, revealing for the first time why Jesus was called ‘Jesus of Nazareth’ or ‘Jesus the Nasorean’. The importance of the non-canonical Book of Enoch is emphasised. It is at Dan that Enoch, prophet and scribe, one to whom was revealed the ‘Son of Man’, must publish God’s condemnation of the wicked angels who have anciently possessed mankind. The Old Testament ‘Dan’ is the New Testament Caesarea Philippi where Jesus and Peter bicker violently over Jesus’s identity. Caesarea Philippi was also called Paneas (today: Banias), for its caves and springs were sacred to Pan. Herod the Great erected a temple to Caesar Augustus there. From Banias springs a fountain that is a source of the holy river Jordan, and it is on the old Roman road to Damsacus. Dan’s significance to Jesus’s real mission is revealed after millennia of obscurity. Jesus’s father was not ‘a carpenter’ and the traditional picture of Jesus and his disciples is exploded by the evidence. Jesus’s life and message are presented entirely within terms of the Jewish faith current in his time, with an accent on the esoteric interpretation of that faith, current in his time. The primitive ‘Christian’ message is revealed, and we find that it was shared with, and promoted by, his family. The scandalous approach of Paul is shown in terms of an attack on Jesus’s brother James. This attack has provided the Catholic Church with ammunition for the false propaganda that Jesus was rejected by ‘his own’, that is, his family, and by extension, the entire Jewish people. The Catholic Church is revealed as having been founded fundamentally on an anti-Jewish position. The historical and political circumstances around Jesus’s birth and parentage are analysed objectively, revealing a comprehensible situation that makes perfect sense of the elements of the canonical stories, but sets their meaning in their proper context, with the aid of new insights derived from the ‘Dead Sea Scrolls’. The gospel writers do not appear to have understood the true setting in which Jesus operated; they are at a remove. Their stories contain facts but the background that makes them intelligible is often missing. The one-sided view of the New Testament creates ‘Christianity’ at the expense of the facts about Jesus and his family. This book will make Jesus and his family intelligible for the first time, without mythology, to believers and non-believers alike. The book is objective and does not attempt to evaluate the rightness or otherwise of theological positions or religious prejudices, showing only where theology has ridden roughshod over significant facts. All of the evidence concerning Jesus’s family is presented and analysed in its historical context. We can follow Jesus’s descendants until c.220AD. After the Church joined itself to the power of Rome, there was no interest shown in the Judean royal family who had created the seed and gave their lives to promote it. The uncomfortable facts surrounding Mary, Jesus’s mother, a Temple slave, are revealed, with a suggestion that she was sexually abused by a priest, possibly a member of the family. THE MISSING FAMILY OF JESUS: An Inconvenient Truth – How the Church erased Jesus’s brothers and sisters from history by Tobias Churton, published by Watkins Publishing, £13.59 (RRP £16.99) Hardback (256 pages).